This is the second book in a new international, multi-contributed series aimed at providing practical, clinical guidance on how to deal with difficult symptoms related to specific cancer sites. 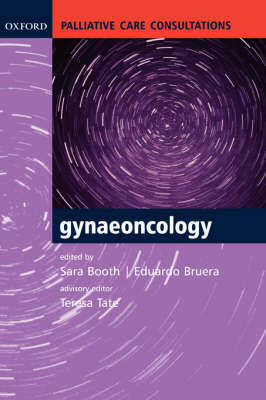 In gynaeoncology there are a number of symptoms which cause great distress to the individual and their families, and perplexity to the physicians and nurses caring for them. This volume covers the management of incurable disease for each of the most common cancers followed by a review of the most difficult symptoms that are encountered in this tumour group. Contributors provide a scientific background to symptom-control chapters, with an indication of the sources and evidence for their advice.